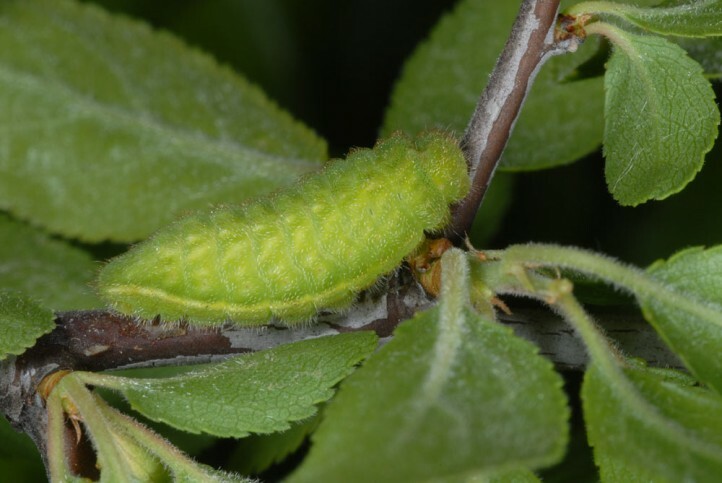 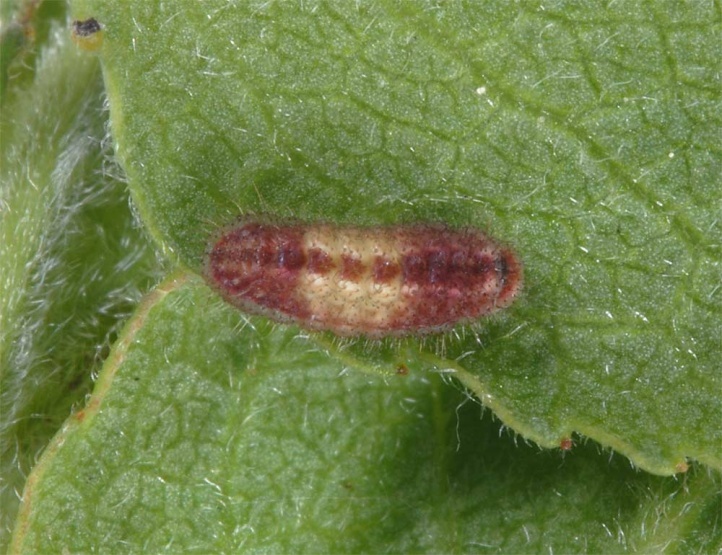 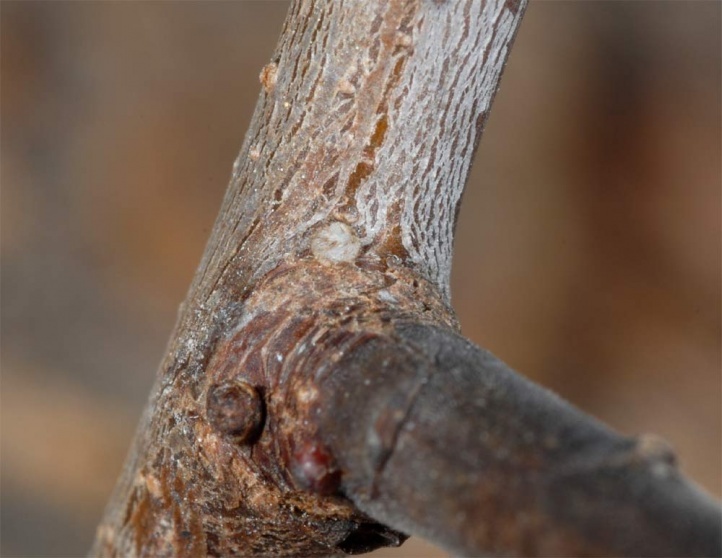 The larvae feed on Prunus spinosa and especially in the south also other Prunus species. 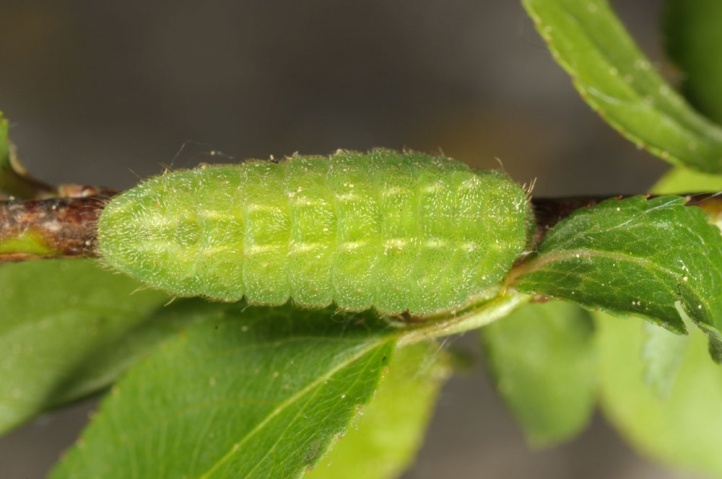 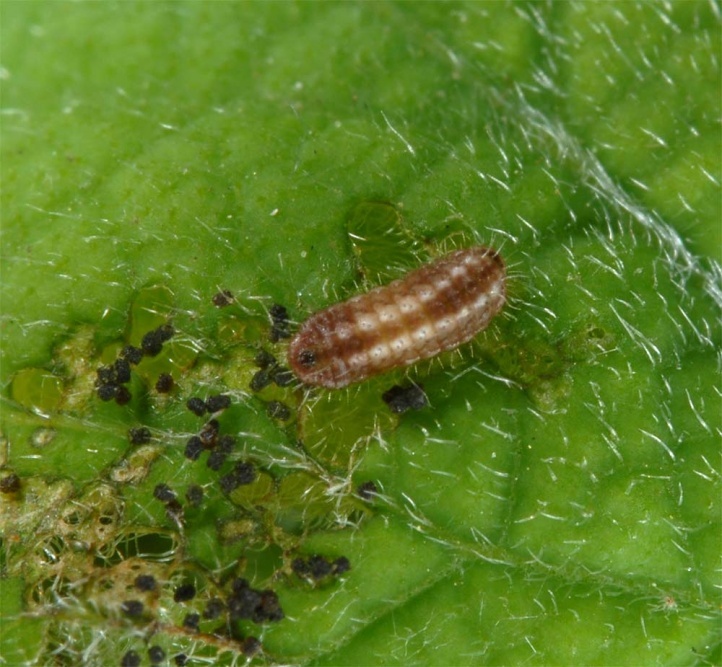 So I found many larvae in Northern Greece on small to tall bushes of Prunus sp. 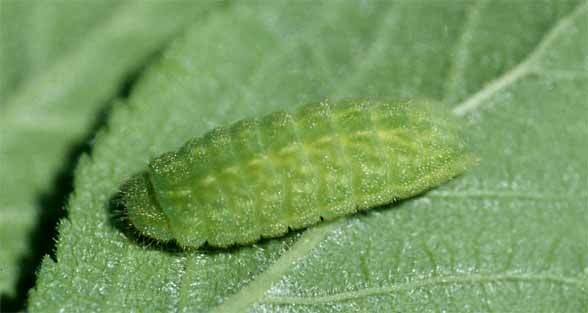 (not spinosa). 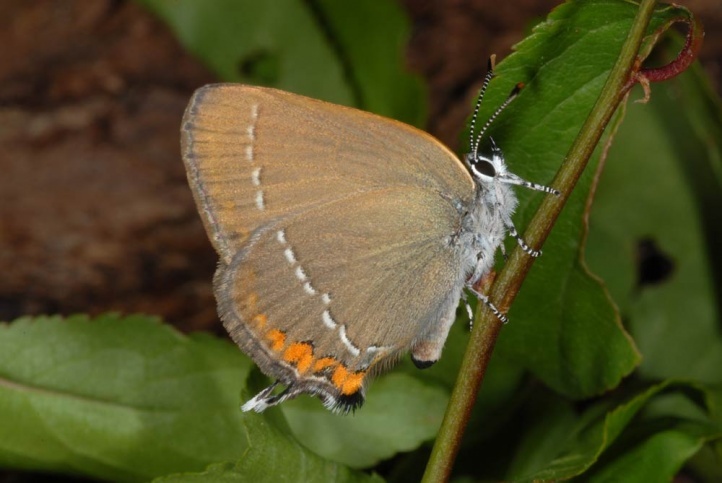 Satyrium acaciae colonizes bushy limestone grasslands, rocky slopes, old small-scale quarries and similar xerothermic habitats. 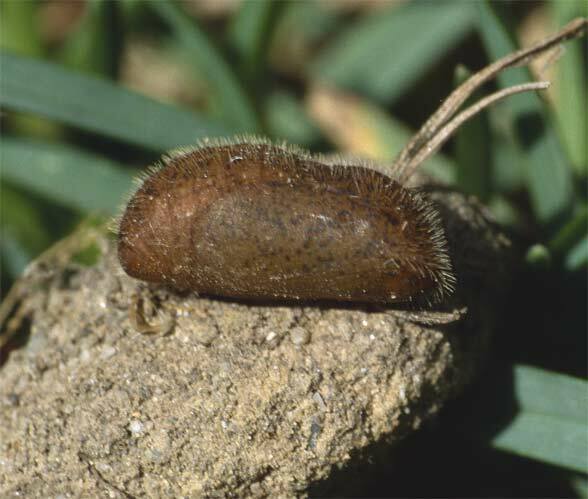 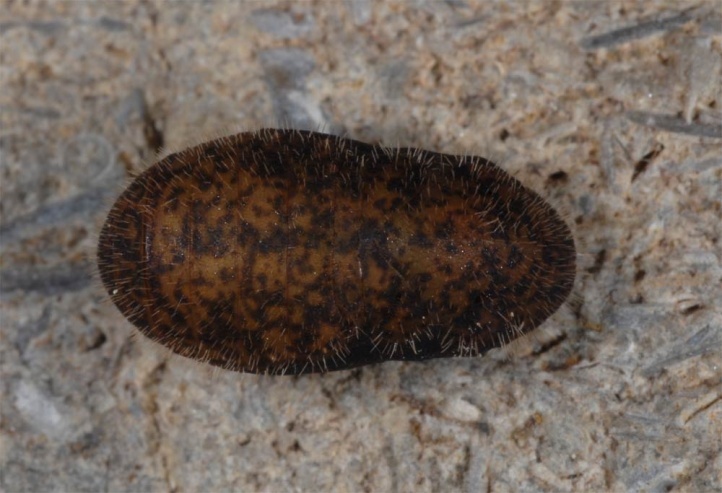 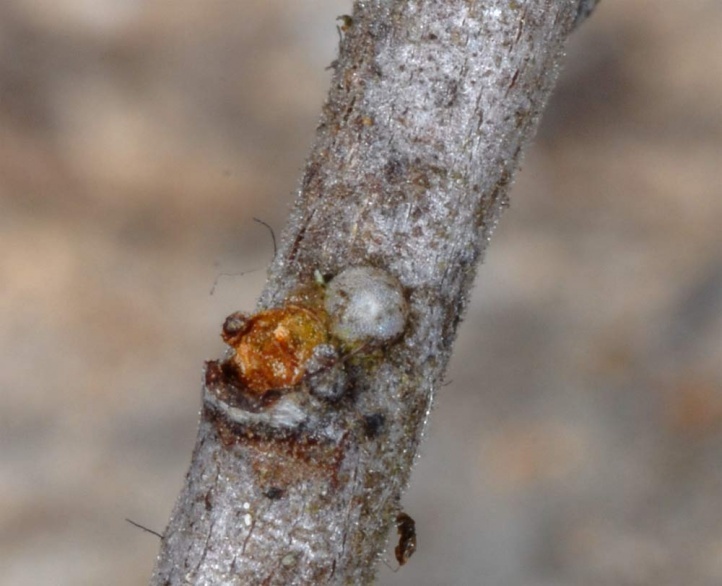 The eggs overwinter (or better the caterpillar within the egg shell). 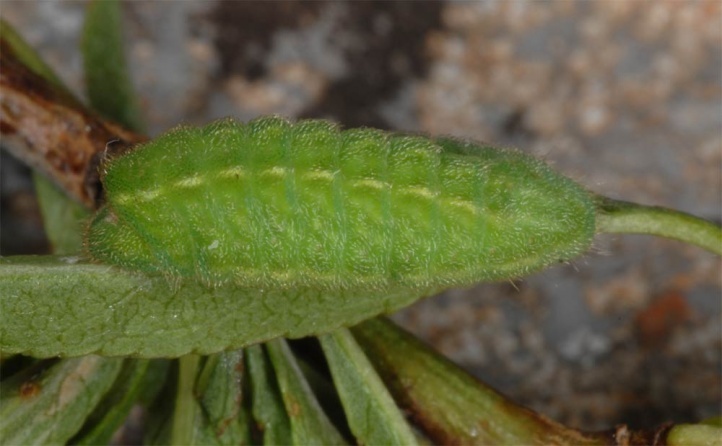 The caterpillar is mostly mature in mid- or late May. 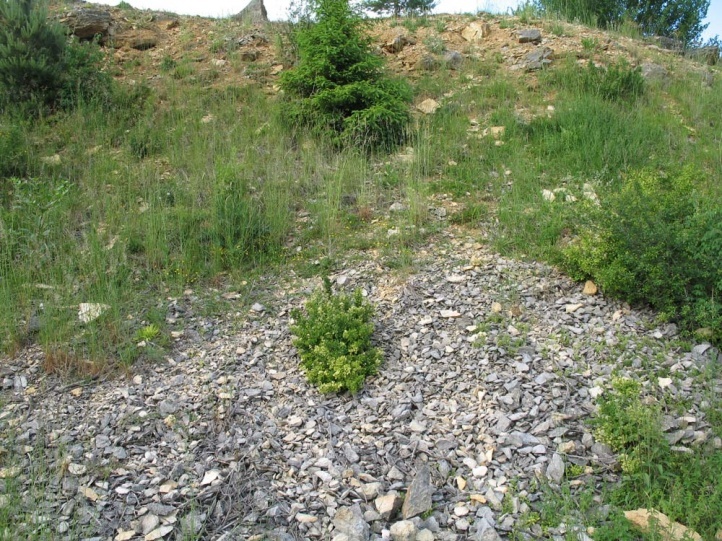 It lives on small, low bushes, which are fully exposed to the sun (like directly on gravel). 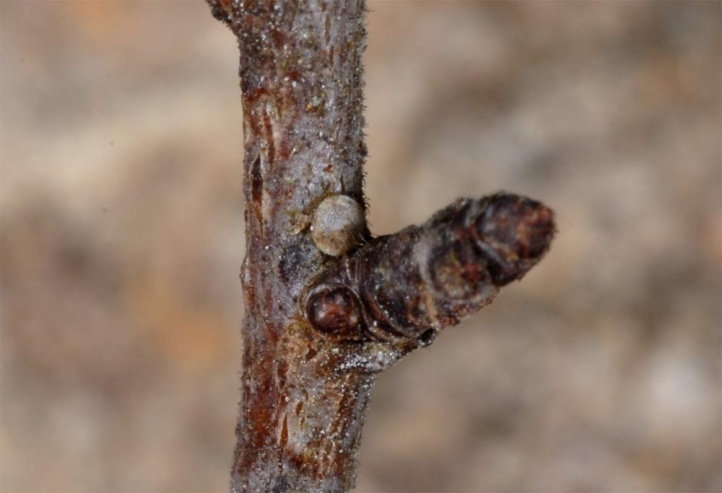 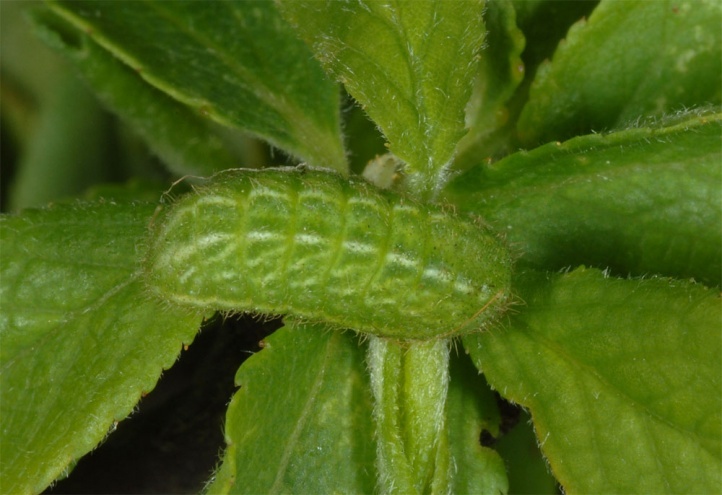 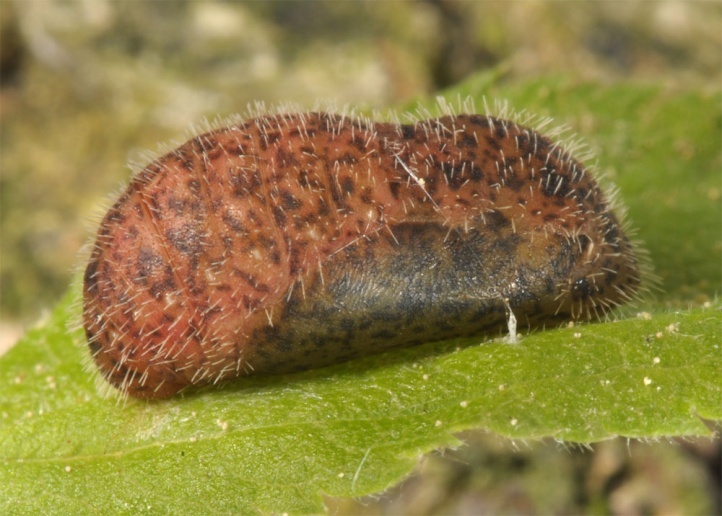 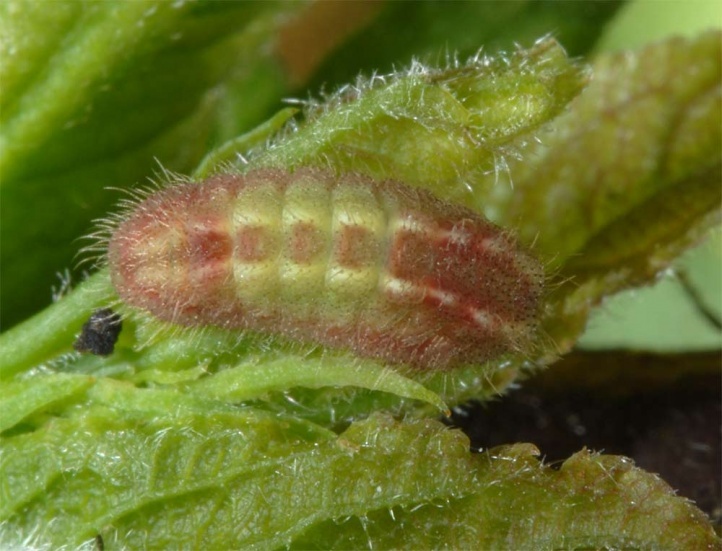 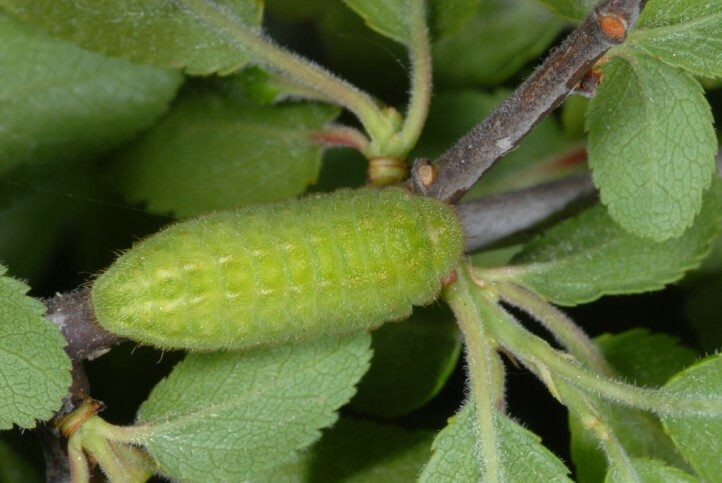 But sometimes oviposition takes also place on a bitb higher Prunus plants as is indicated by own caterpillar observations together with Satyrium pruni in more than 1-1.5m above ground in the Swabian Alb (Germany). 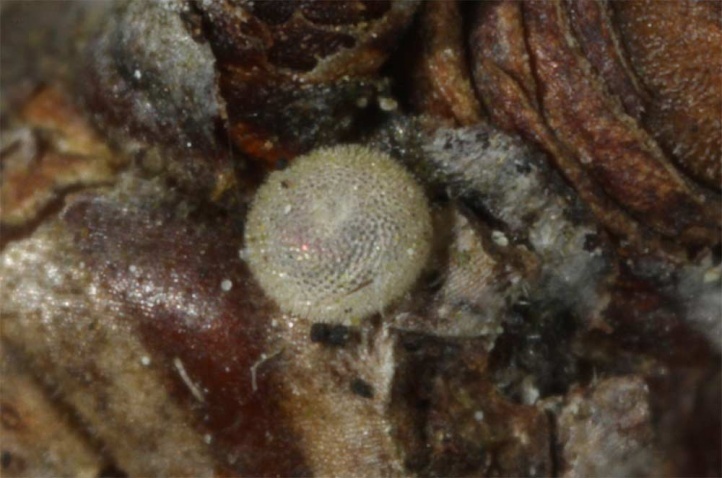 In March 2009, I found there an egg in 2 meters of height! 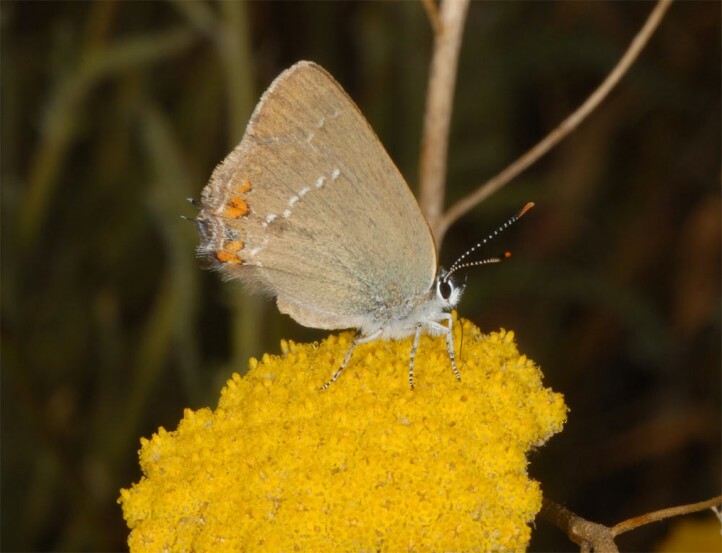 The adults fly in June and July and like to feed on yellow and white Asteraceae such as Senecio jacobeae, but also on thyme. 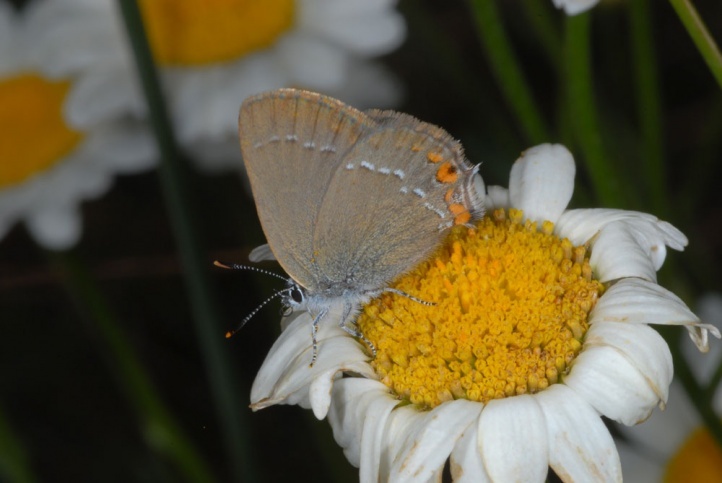 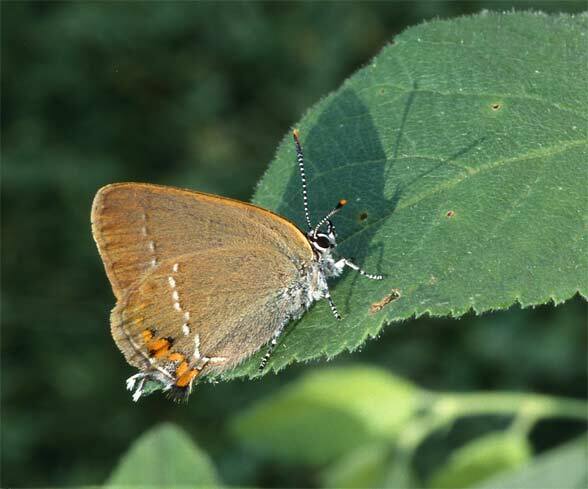 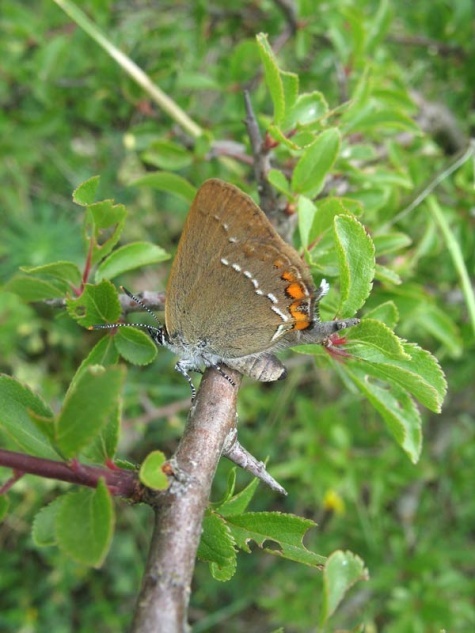 Satyrium acaciae is endangered by reforestation after abandonment (succession), eutrophication, intensification and improper maintenance measures (radical removal of small bushes in the entire habitat at the same time). 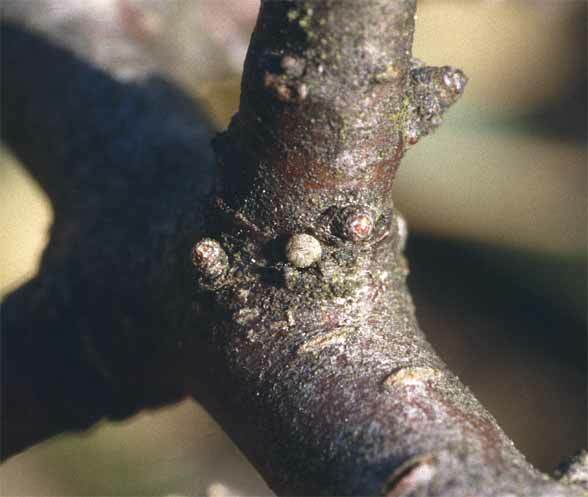 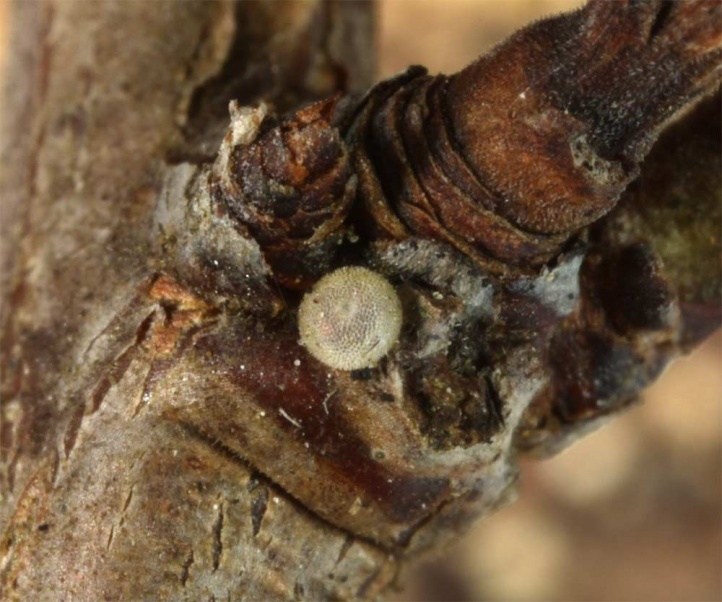 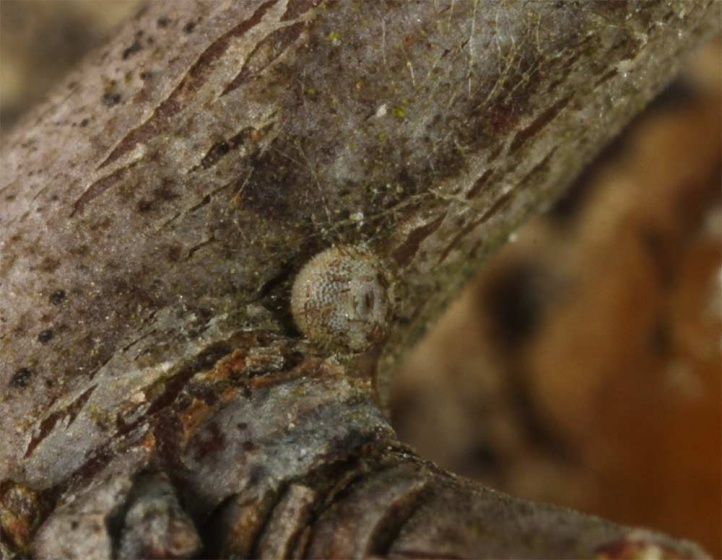 The eggs are not easy to find on the knotty, often lichen-rich sloes due to their color and the fact that they are partially covered with hair. 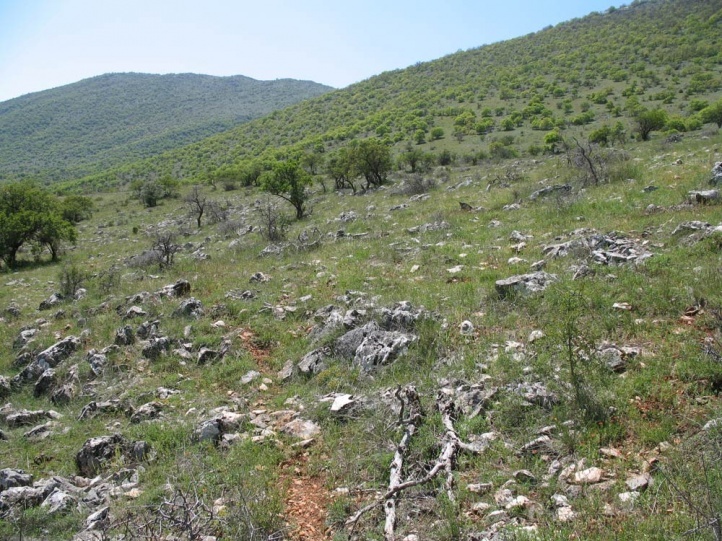 The distribution ranges from parts of especially Northern Spain through central, southern and Southeastern Europe across Asia Minor, and thence far to southern Russia. 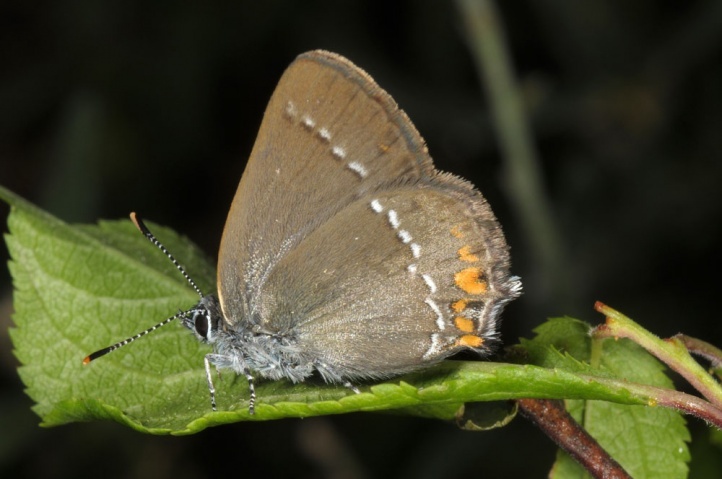 In Central Europe Satyrium acaciae is found to the north approximately to the northern edge of the central German highlands and central Poland.